This is truly a once in a lifetime experience! Step on board the boat, and experience the real-life adventures of a Lobster fisherman. 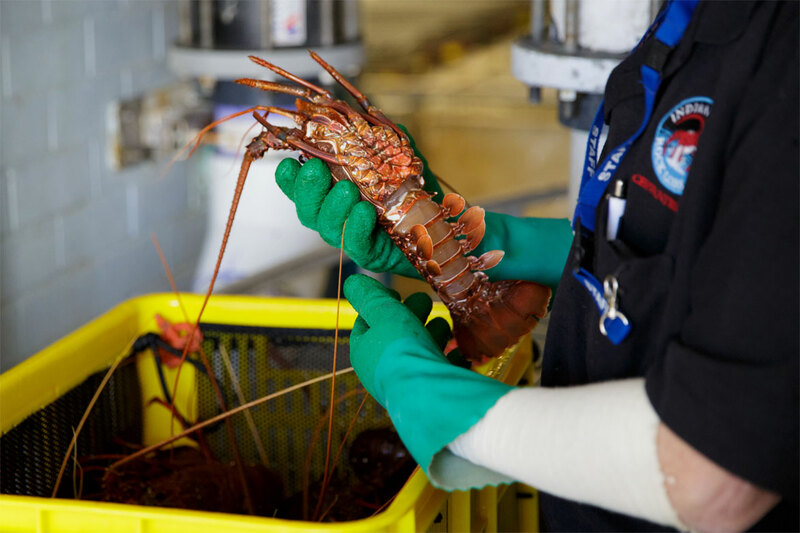 The Lobster Catching Tour will take you off the coast of Cervantes in the A-class Marine Park steaming out into the waters of the Indian Ocean where the skipper pulls his lobster pots in search of the ultimate catch, the Western Rock Lobster. The tour will take you through the Cervantes Islands, where you will get to see Australian Sea Lions- one of the world’s rarest seals. On board the boat, visitors can select a lobster out of the days catch, which can be cooked on board or taken back to the Lobster Shack and cooked up for lunch at an additional cost. You can’t get much fresher than that! Specialised tours can be coordinated for group bookings with a range of options for departing times and duration of the tour. Please note: Booking is essential! For more information, please call the Lobster Shack on 08 9652 7010 or send us an enquiry.